Caring for a loved one with any memory care need – be it Alzheimer’s, dementia or other form of neuro-based illness can be very challenging for caregivers. Heritage Pointe of Fort Wayne has a memory care unit that will provide care and nurture for your loved one in a secure setting. Residents may live in semi-private apartments or private rooms and have structured activities delivered by staff members trained specifically on caring for those with memory impairment. Residents have access to their own dining area, activity room, and lounges. Beautiful and secured courtyard garden adjacent to the memory care unit. Stimulating the brain is important for individuals living with Alzheimer’s disease and other types of dementia. Activities that promote positive cognitive support are a staple at Heritage Pointe of Fort Wayne. 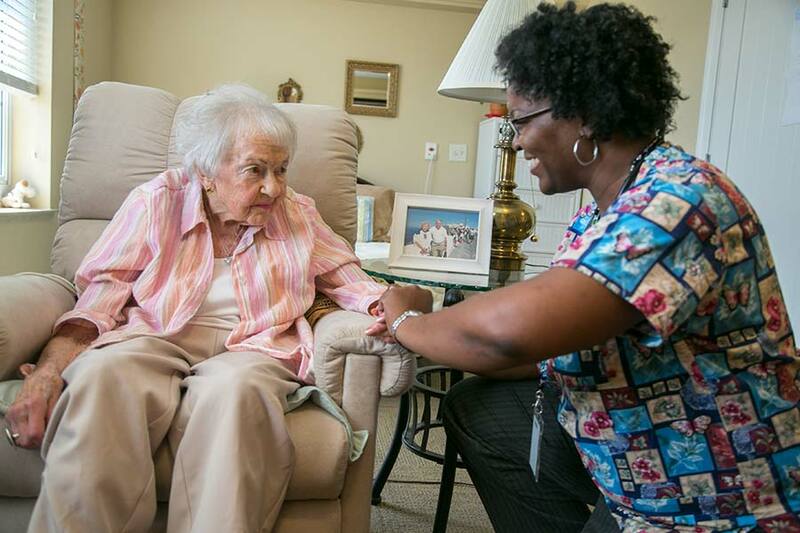 We would consider it an honor to meet you and give you a personal tour of our memory care wing and suites. Please call, email or click here to schedule your tour.